Beau Lifestyle: Baby Oliver has arrived! Just a short note that this Beau Baby has arrived! Introducing Oliver. 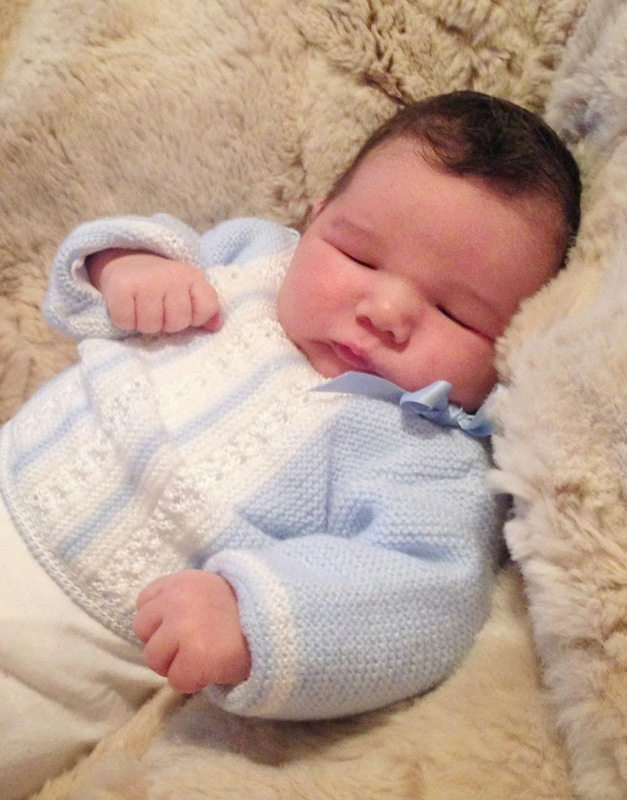 Oliver was born on december the 29th 2013 weighting 4.450 kg and measured 51 cm. To me it was a good and fast delivery. The only bad thing is that Oliver got his collar bone broken during the delivery, as he was a big baby, this sometimes happens they explained me at the hospital. We have to take care we don´t hurt him holding him. After 2 or 3 months it will be healed. I took my time to recuperate and enjoy this baby. Congrats Chantal, just Like Matteo, he's a beauty!!!!!! He seems so peaceful, despite what happened. Hope you're ok, too. You are a lucky girl. Love Ângela. Congratulations! he is really gorgeous, a beautiful baby boy! Hope everything goes Ok for him! Best wishes from Greece. ohhh Chantal how did I ever miss this post. I've been having too much to think about and my mind out of blogging and only saw baby Oliver now... I'm so sorry. Wow he was a big gorgeous boy just like his brother. You are so blessed to have such handsome gorgeous boys! I hope he is fully recovered from his colar bone now. Cheers to all your familly, Love you, AnaA. I have to admid my life spun in a whirlwind. With Matteo I had all the time and the first baby is so special, now the second baby, as I am more use to it is more normal, but I love him even more. Yes I am very blessed to have these two big giants in my life haha, how is your big boy? and I am also blessed to have you as my friend.